Home » Blog » Blog » Nip Gingivitis in the Bud With a Periodontal Disease Treatment! Gingivitis is an early form of periodontal disease, and when untreated it can lead to periodontitis, which can cause permanent tooth loss. Many times those with gingivitis may not know they have it because the symptoms are mild. Typically gingivitis is caused by dental plaque building up in and around the teeth. If plaque is not removed, it can harden and turn into tartar which causes inflammation, and it can only be removed professionally. Symptoms include bad breath, tender gums, and bleeding when brushing or flossing your teeth. Good dental hygiene can prevent and treat gingivitis, but if it doesn’t seem to work, it may be time for professional Periodontal Disease Treatment. Periodontal scaling and root planing is two procedures in one and is one of the most effective ways to combat gum disease. Periodontal scaling consists of removing all of the plaque and tartar both above and below your gum line. A small instrument called an ultrasonic cleaner is used for the best results. Before your Periodontal Disease Treatment begins, Dr. de Cardenas will discuss with you the procedure in its entirety and what you can expect. Once all of the plaque is removed, then scaling will begin. Using the same tool, Dr. de Cardenas will smooth the surface of the tooth so it can reattach to the gums easier. If you have any questions, our team will be more than happy to answer them, and we will provide you with the best methods to minimize any discomfort. If you have disliked dentist appointments in the past and haven’t been back in years, our office is an entirely different experience! We believe that the most important person in the room is right in front of us, so we will make sure you feel comfortable and cared for throughout your appointment. Dr. Andres de Cardenas has over 15 years of dental experience and graduated in the top 10% of his class at the University of Florida School of Dentistry, so you can feel confident your dental care is in the best hands! He is an expert in Periodontal Disease Treatment, reconstructive procedures, implants, and much more! 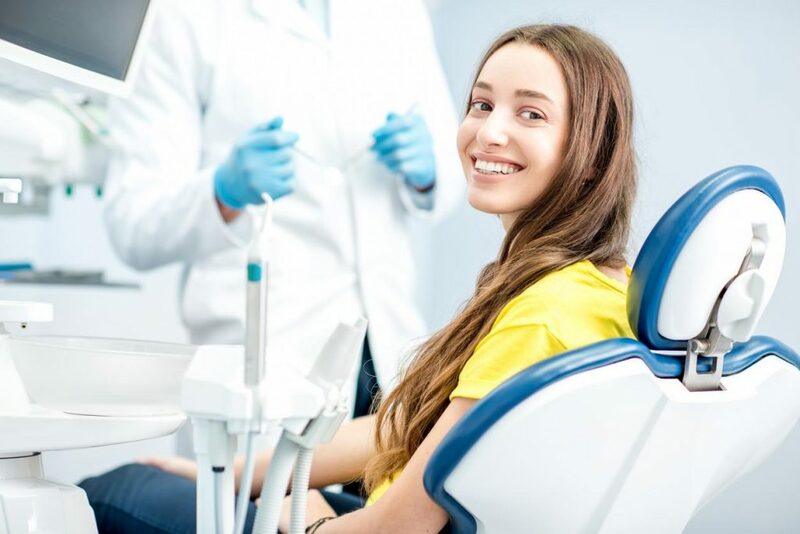 If you’re in need of a professional cleaning, root canal, or other procedure, our expert team of dentists can provide you with the highest quality care. We believe that your smile is one of your most important features and we’ll make sure yours looks better than it ever has. At the office of Dr. Andres de Cardenas, our Periodontal Disease Treatment will remove any traces of gingivitis or periodontitis! If you’ve begun noticing your gums are more tender or bleeding often, it may be signs you need to see a professional regarding your oral hygiene. After one visit with us, you’ll feel better about your teeth than you have in years! 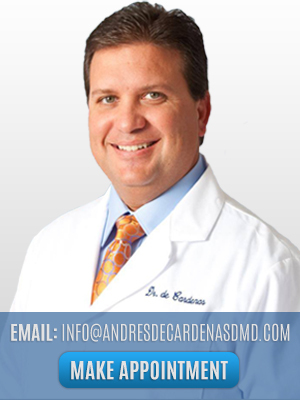 Learn more about Dr. de Cardenas and our dental treatments by calling us today at 305-251-3334 or click here to schedule an appointment online!